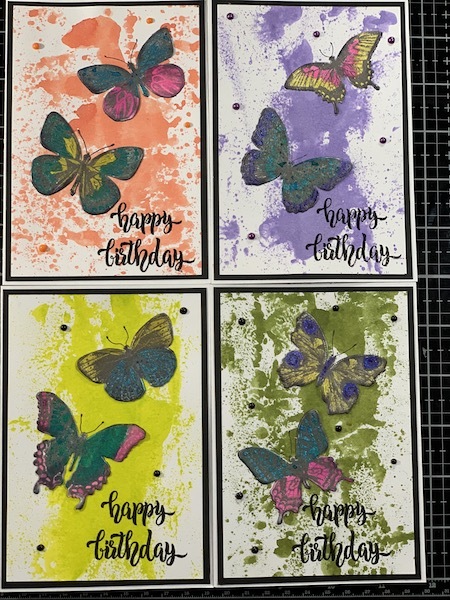 So I’m building up my stash of Cards and today I’m going to be playing with some KaiserCraft Shimmer Mists and instead of spraying them, I’ve decided that I’m going to apply them with some plastic and smooch it to the card. 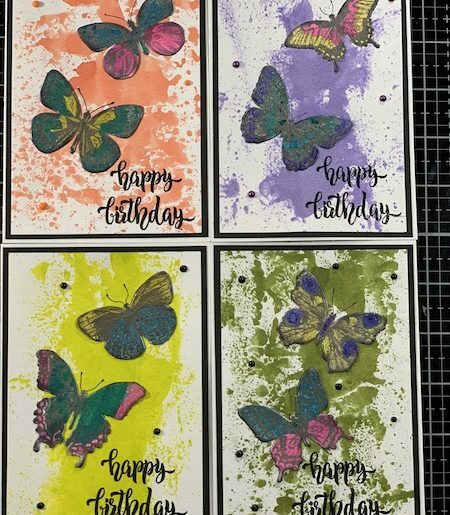 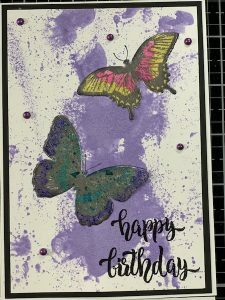 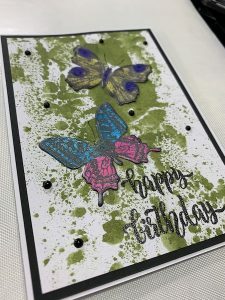 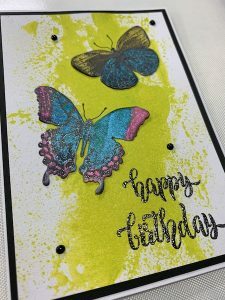 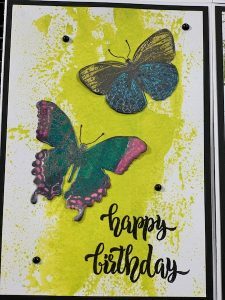 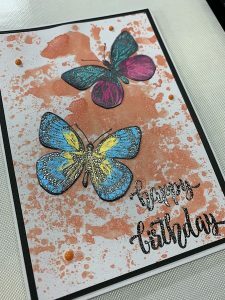 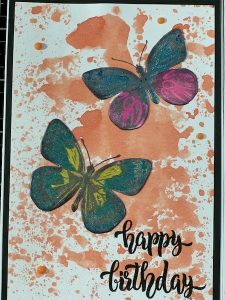 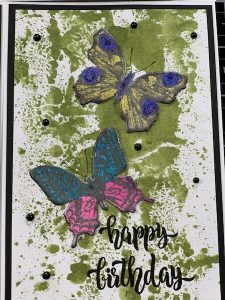 I’m also going to use my Tim Holtz Flutter Stamp set and Cosmic Shimmer to colour the butterfly’s in. 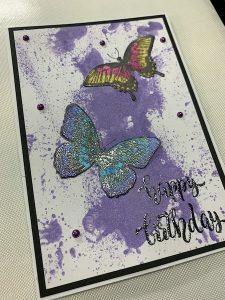 Cosmic Shimmer Pixie Powder – Purple Violet, Candy Pink, Peacock Green, Sun Yellow and Aqua Lagoon.